We would like to design a logo and several social media banners for our web application. We have already had a logo and we really like it attached. But because we have changed the name of our product, we want to also change the logo and create the corresponding banners. * If you are using stock images for the banners, please let us know so that we can pay for them in the end. * Must look good on website, mobile, and print in different materials including business cards, flyers, document heads, t-shirts, pens, etc. 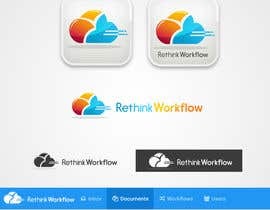 * The logo must have at least 4 variants: one with only icon, one with icon on the top and text at the bottom, one with icon on the left and text on the right, and one with the slogan "Rethink the way you work"
* There are 2 version of the logo. One uses a single color preferable in white, and one use combination of the color. Please check out how they have been used at [login to view URL] . Simply login with your gmail account to see the mono color logo on the navigation bar on the top. * We need the banners for Twitter, Facebook, Google+, LinkedIn, Youtube, and our future website. Below are the answers for our website design survey but I think it would help to clarify our requirement. --> An unique cloud-based application helping enterprises to increase the productivity by automating business processes at ease. Why do you want a new logo? (if they already have one) What do you want your new logo to accomplish? ​--> We really like the old logo (attached) since because of its simplicity and professional at the same time. However, we’ve changed the name of our product, we want to change the logo too. Who are your main competitors? How are you different from your competitors? ​--> KissFlow, AODocs, ​RunMyProcess, SteedOS, PandaDoc. 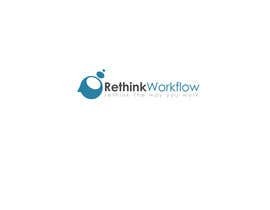 Rethink Workflow is Free. It has a simple, intuitive, and mobile compatible UI and no migration & registration is required. Do you have a tag line? If so, would you like it stated alongside your logo? ​--> we use bootswatch paper theme ([login to view URL]), so the logo mush be compatible with it. What adjectives should best describe your logo? ​--> Convert a manual business processes into an automatic one in the cloud. 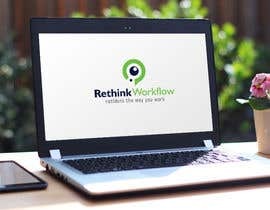 Rethink Workflow takes a unique approach to speed up the conversion process. ​--> Google Drive, Google Cloud Platform, and our old logo (attached). Simple, unique, consistent, and professional. good day sir .. that's all about the logo .. thank you ..
but anything about the banners ? yes sir i got it .. i mean something about the style of it ? " simple - more graphic - falt design . etc " ? the banners should be simple, professional, and the easy to blend with the content. Thanks!